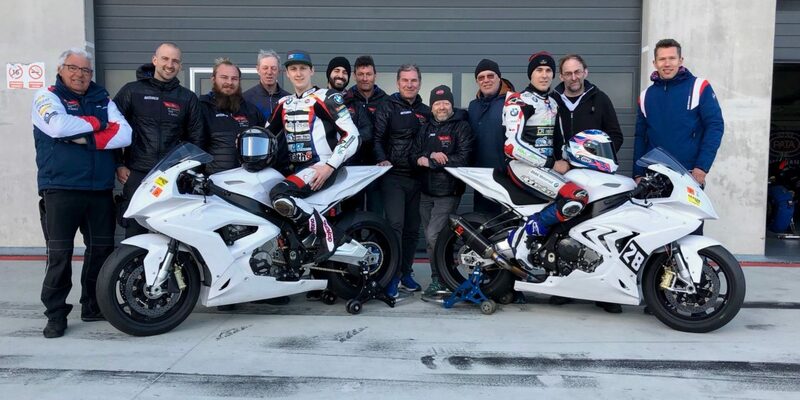 Markus Reiterberger and Jan Bühn, together with their alpha Racing-Van Zon-BMW team, completed the test marathon for the upcoming Superstock European Championship. First comparison with the competition sets team principal Werner Daemen positive. 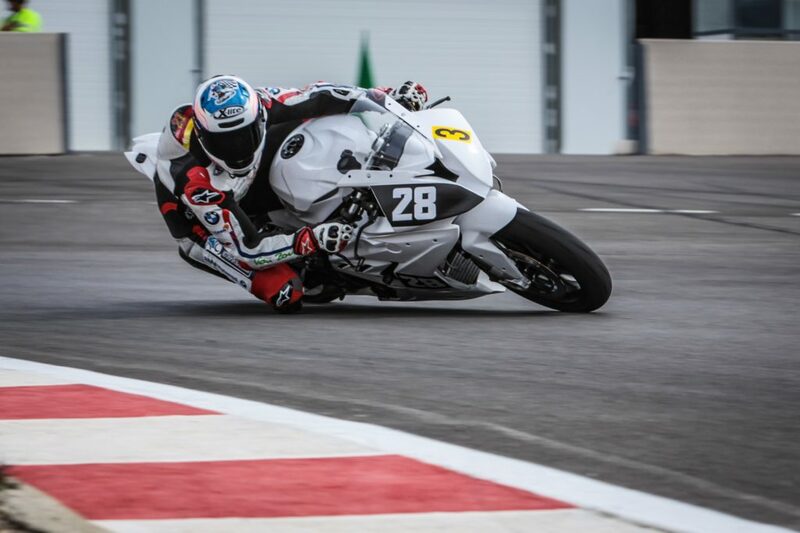 Superstock 1000 pilots Markus Reiterberger and Jan Bühn started their individual roll-up already before the team preparations for the STK season began at the Circuito Andalusia and in Aragon. 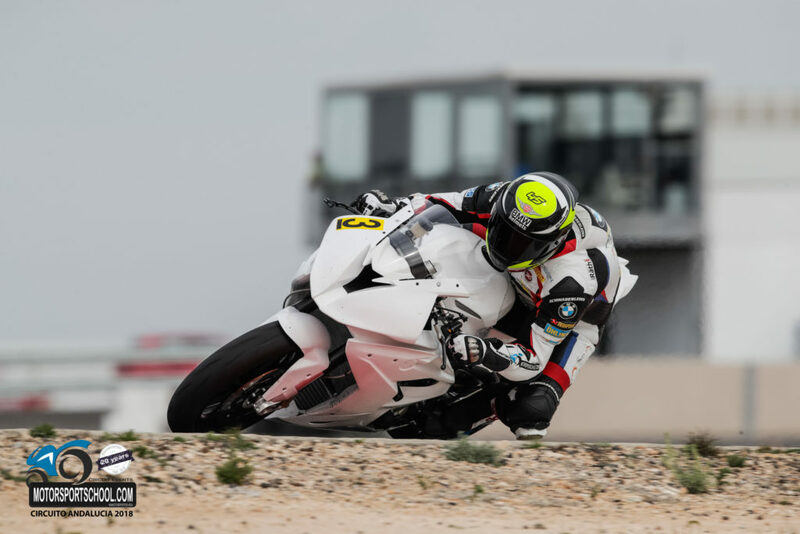 Reiti previously participated in a promotional campaign at a BMW Motorrad Motorsport event in Valencia with the new HP4 Race motorbike and Jan Bühn completed several laps at the Pirelli Test in Alcarras for his Endurance World Championship Team Völpker NRT # 48. At Circuito Andalusia Reiterberger and Bühn got acquainted with their new equipment. Compared to the IDM motorcycle, the two Superstock1000 riders have to go hunting for laptimes with profiled tires instead of slicks. Overall, the new STK motorcycle is quite similar to their well known IDM bikes. Reiterberger felt right at home on the new racetrack and already rode the unofficial track record for motorcycles with 1: 53.7 min in the three test days. Jan Bühn also took the time to get to know the new bike in the best possible way. At their next destination MotorLand Aragón the two teammates then met some future competitors of the STK 1000 category. Reiterberger was able to get to the top of the field right from the start on the first day of the test, only to be second on the Superbike World Championship factory rider Rinaldi. 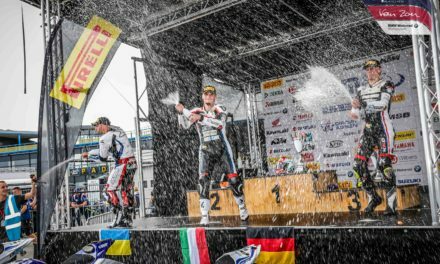 Given the differences in performance between the SBK Ducati factory machine and the Superstock BMW by Reiterberger, a remarkable performance by the young bavarian rider. 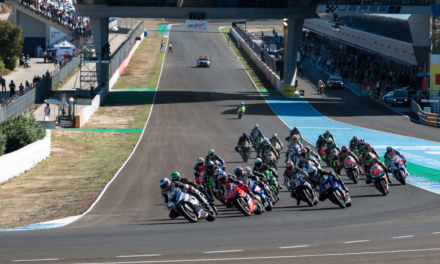 The first race of the FIM Superstock 1000 European Championship takes place from 13.-15. April in Aragón, Spain. „Finally the season starts again. I was warming up with the HP4 Race in Valencia and then it went around on the new Circuito Andalusia. Our Superstock bike is quite similar to the IDM motorcycle, but has only profiled tires – not such adhesive slicks as in the IDM. I really like the course version of Circuito Andalusia, it reminds me of the Schleiz racetrack in Germany. I was able to improve day by day and at the end I rode the unofficial track record. Awesome track – awesome bike. Next(DE) Alles was Du zum Superstock Saisonstart in Aragón wissen musst.